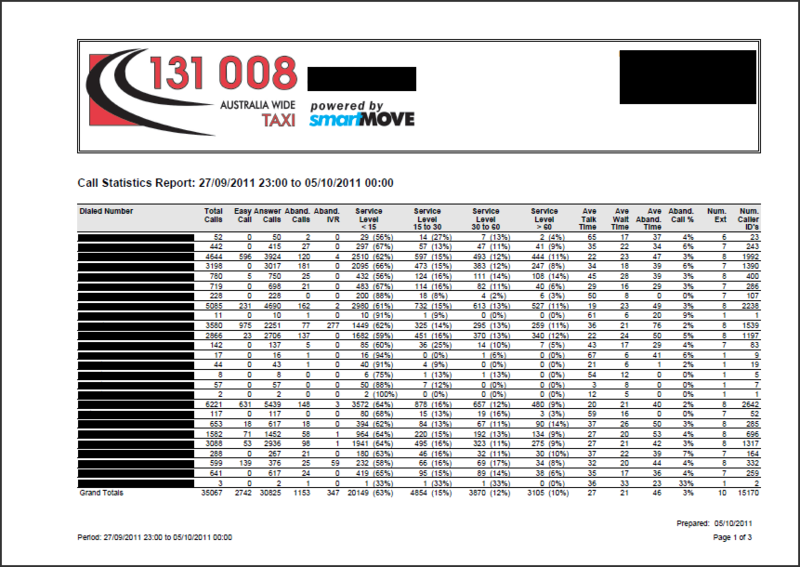 The phone system statistics report applies only for users of the SmartVOIX phone system. It provides a number of statistics on call answering times. Some calls may be answered by the Interactive Voice Response System (IVR aka EasyCall). Select the phone system server (1) then enter the start and end date/time for the report (2). The number of calls processed by the automated booking system. The number of calls answered by an operator. The number of calls abandoned when on hold after the IVR processing and before they were answered by an operator. The number of calls abandoned during the IVR processing. The number of calls answered by an operator within 15 seconds. The time is counted from when the call is placed in the operator’s queue i.e. time with preliminary messages and IVR is not counted. The number of calls answered by an operator within 15-30 seconds. The number of calls answered by an operator within 30-60 seconds. The number of calls answered by an operator after 60 seconds. The average wait time (seconds). The average wait time for abandoned calls (seconds). The percentage of abandoned calls. This excludes calls abandoned before being answered by an operator. Num Ext is the number of extensions that have taken calls on that line. 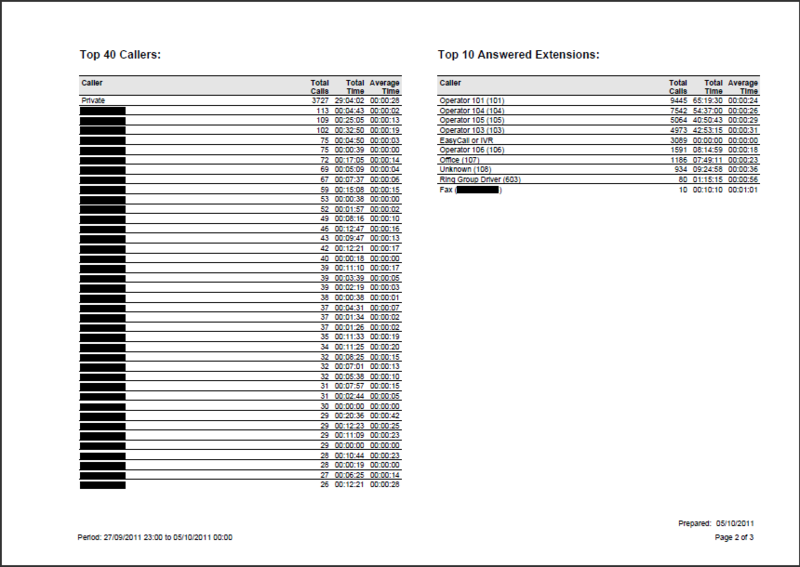 The second page of the report lists the top 40 callers and the most commonly used extensions.